Mega Gold Hybrid produces generous yields of huge, vibrant gold bells up to 8 inches. 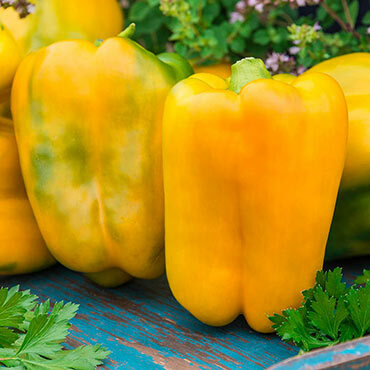 Peppers ripen from glossy green to golden yellow and have a flavor even sweeter than red bells. Mega Gold is great for eating fresh, chopping into salads, sautéing or roasting—adds a delicious layer of flavor to any dish. 80 days to maturity.